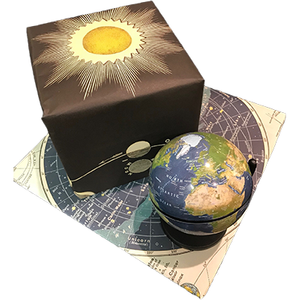 Wrap gifts, books, and calendars with these vintage celestial gift wrap, The Phases of the Moon and the Celestial Chart. Printed on textured Italian archival paper, this wrapping paper also makes beautiful wall hangings for the office, guest room, or library. Can’t decide? Wrap gifts with one set and frame and hang the others in your favorite room. Set includes 2 of each design. 20” x 28”. Shipped rolled.